Nicholas Brody left us forever exactly five years ago marking Homeland Season 3 finale as the most horrific hour in the history of television for the “Brody widows” among us — a very select group of women! — who have still not been able to get used to the idea of Homeland without him! We were simply devastated the day Brody died in Season 3 and extremely ecstatic the day Brody came back for 5 minutes in Season 4. And while most of us have been able to move on to Bobby Axelrod while carrying Nicholas Brody in our hearts, a world without Brody still hurts. 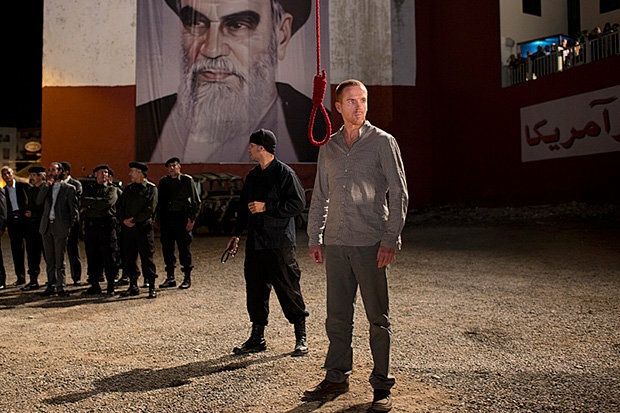 Rest in Peace, Nicholas Brody. And just to give you a little tease, wonderful NotLinda imagined and wrote a wonderful fan fiction about Brody’s last thoughts. Coming soon on Fan Fun! Now, I know that you all remember the time and place you watched Season 3 finale. I do, too. And I know all about the hope you held for Saul to get Carrie and Brody out, how devastated you were when Brody was taken away as well as the tears you shed through the inevitable end hopelessly hoping for a last minute rescue. I know all about it, because I lived it. 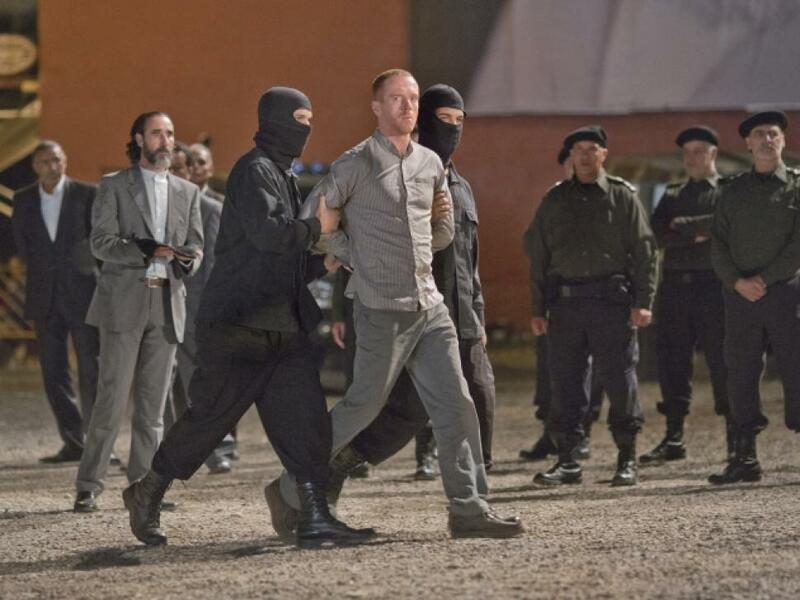 But do you know how Damian Lewis went through that shoot, and how his last day on Homeland set was like? Well, it’s never too late to find out! It turns out that horrific scene was the last scene they shot in Season 3. It was pretty unsettling – when I got in the car and the extras started banging on the car and shouting my name. Walking toward the crane and having the noose around my neck and looking out. I was looking at this mob there to see a public hanging. It was pretty distressing. Well, I certainly cried my eyes out and have, in fact, still not been able to watch that scene. And some of you may have read about my conversation with Damian about the execution scene at The Goat stage door, but I think it is worth mentioning once again here. Lewisto jumps in to help Damian understand. He says he never saw me not finishing my pasta and skipping dessert before the day Brody died. Moreover, he highlights the fact that I certainly cried more than Carrie Well, I don’t know if Damian is now thinking I am crazier than he originally thought, but for me, Season 3 ends HERE. It turns out Damian went home once done with the execution shoot, took a shower, and got on a plane at noon that day to go back to London. (source: Homeland Revealed by Matthew Hurwitz. 2014. Chronicle Books. Page 157) But, before he left, he had a surprise gift for the crew! Hint: Remember the first words Brody ever said on Homeland? Watch this if you need a refresher! Lovely gesture. And his Homeland family gave Damian a very nice farewell, too. I am sure many of you have seen the video clip below. “He’s really smart, he’s really funny, he’s really warm. He will literally tap dance before a take. He can do that” says co-star Claire Danes. Not just tap dance but it seems Damian can even do the “Crane Kick” just before or after he takes care of Akbari 😀 I love these little moments when I can completely identify with this guy. Who in our generation does not love Karate Kid? And it is no wonder Claire is missing Damian, I heard her say it at a Homeland event at Lincoln Center, on the set. When I read this I realize how stressing it must be to shoot some scenes, even if they are just acting, they have to feel it to transmit it and for that time they are that character. I imagined that last setting for the scene and gives me the goosebumps…maybe because it’s a crowd and it’s dark chantting your name not precisely to cheer you up must generate some kind of energy…. I am with you, I never watched that hanging scene again nor any of the ones shot in that building in Puerto Rico pretending to be the “Tower of David”… that was so realistic…. Well I’m going to go home and watch that episode again tonight. I could use a good cry. I’m on the side of “you’ve got to watch this” though I totally understand (though it was so great). I hadn’t remembered that Brody found Claire in the crowd. Thanks for reminding us.